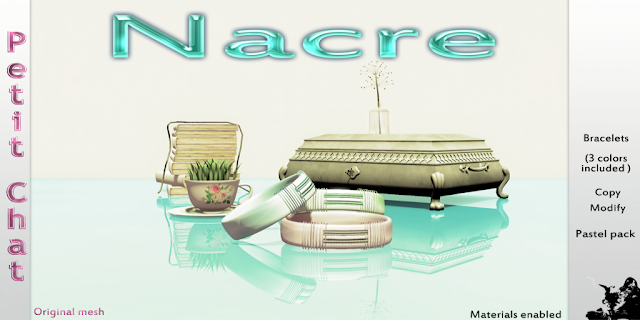 Nacre is a new bracelet from Petit Chat and it is part of the summer collection which is 100% mesh. The first color is Blue which is cooling especially in this hot summer! The Green Nacre gives out a clear and refreshing feel to your outfit! The last color is Kitty's favorite and it is Pink, which goes nicely with this mysterious dress which Kitty will blog about soon. don't you think the bracelet looks perfect for the dress?